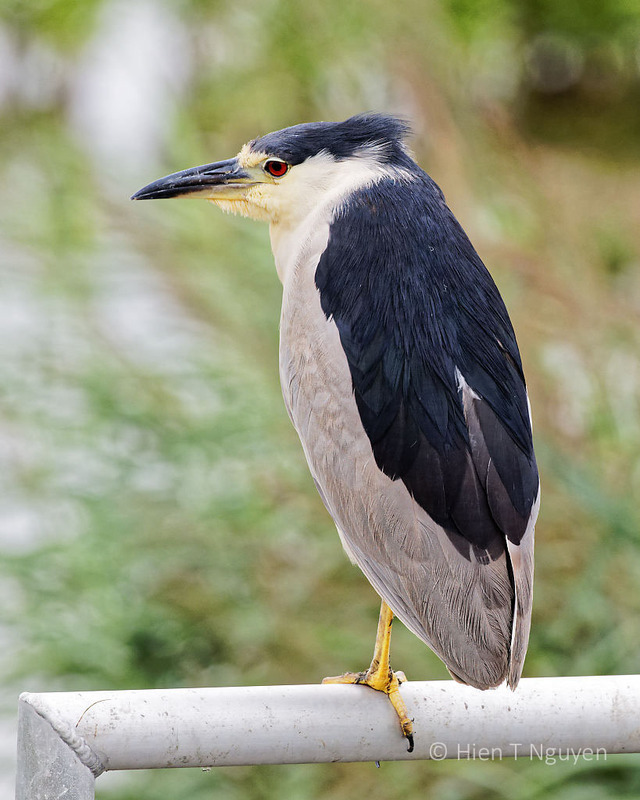 On a drive around Edwin B Forsythe National Wildlife Refuge, I saw a sleepy Black-crowned Night-Heron right by the side of the road. It watched me warily but did not fly away immediately. Another shot before it flew away. This page header photo is from an image taken in July of this year. Oh those expressions are just the best!! The first one is really funny, actually. 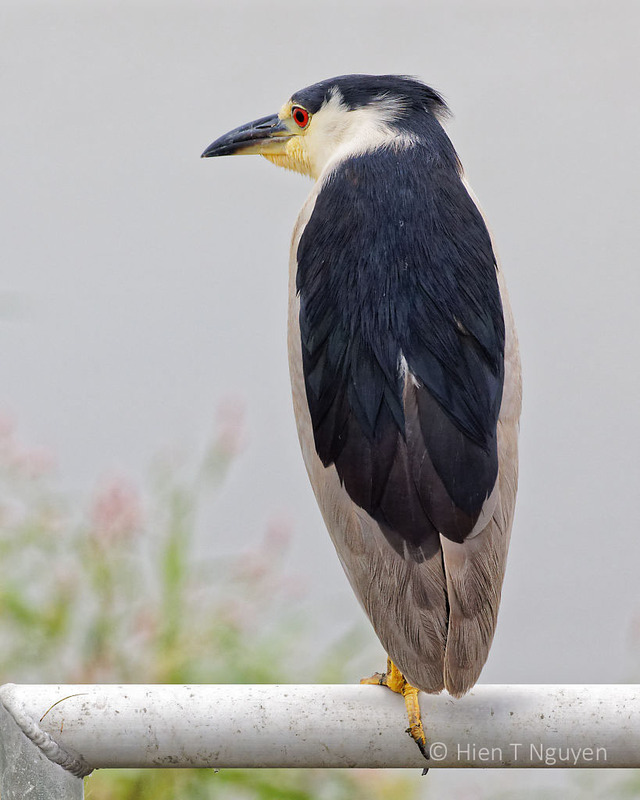 I love night herons – they are characters, aren’t they? Fabulous! Oh, that explains the expression – it really is priceless. Please think about printing this one! It was napping, and I probably interrupted his nap! Spectacular shots, Hein! I love those pretty eyes! Thank you Donna! Those eyes are indeed one of their most noticeable features. You have caught his ruby eye beautifully. Astounding that he’s so comfortable in the open in the daytime! Obviously he knows he has nothing to fear from you, Hien. They are so beautiful and elusive. That may be because they are mainly nocturnal herons. Once in a while I see one like the above, out in the open, in daylight. I did in Florida only twice and once, oddly enough, was a the beach! Great details, great lighting, excellent images! Thank you Jerry! He was no more than 20 ft away. That red eye is amazing – so unusual! Their eyes are yellow when they are young, and become red when they become adults. A beauty Hien, you nail the detail on this one excellent!